Define the required fields in the application. Image 1: Required Fields Interface. A marker (*) is displayed beside the field in the generated application. 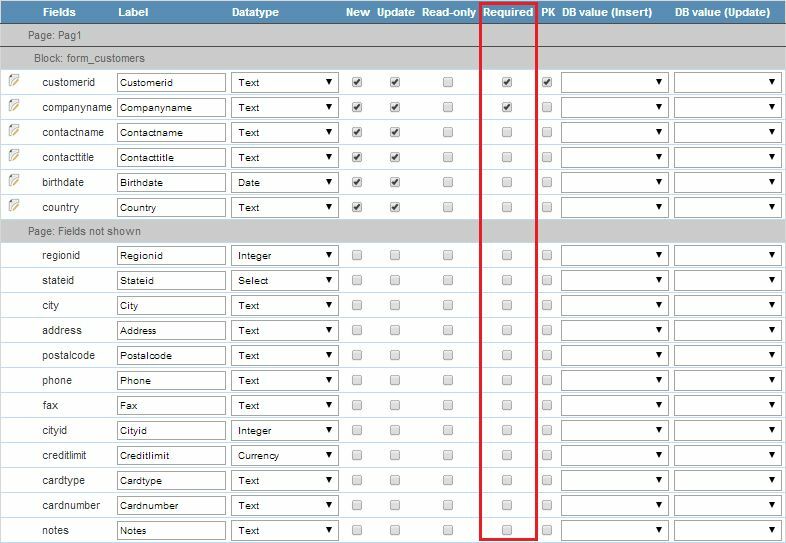 The required fields are validated and a message is displayed if the field is empty. Markers Positioning - Where the marker will be displayed in relation to the field. Display message - If selected this option displays a message upon validation.